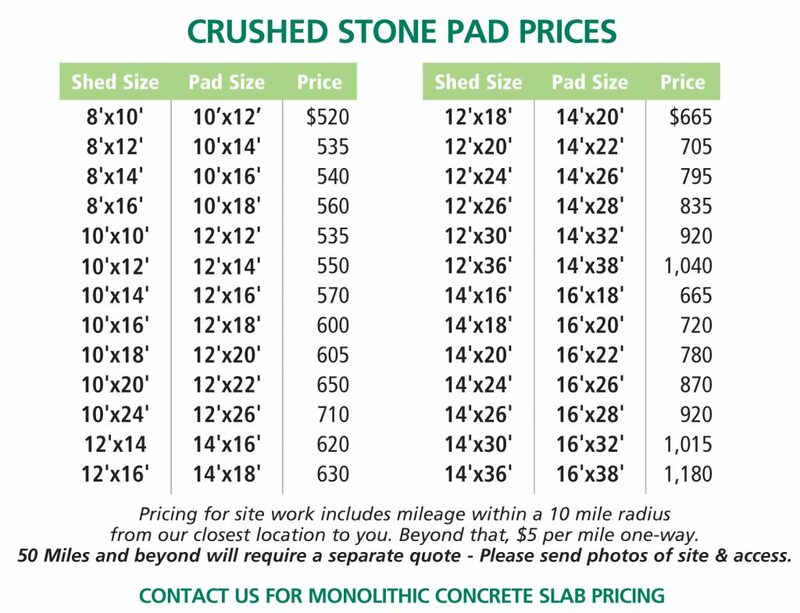 We Recommend a Level Crushed Stone Pad. A site prep done by Garden Time guarantees your building against settling for 10 years. Every town has different requirements. It is the customer’s responsibility to obtain all necessary permits. Garden Time will gladly provide any building specs necessary. Building code officials will also be able to advise you on setback requirements for property lines. Site Prep prices are determined by the size of your building and accommodates up to 6″ out of level. We use 3/4″ crushed stone to lay a 4″ deep pad that extends one foot beyond all side walls. This will ensure better drainage around the shed. Sites more than 6″ out of level are subject to additional charges to cover the cost of stone. Even a challenging site will be prepared by our experienced staff. If any additional charges are needed they will be submitted for your approval first. How Level Is My Site? 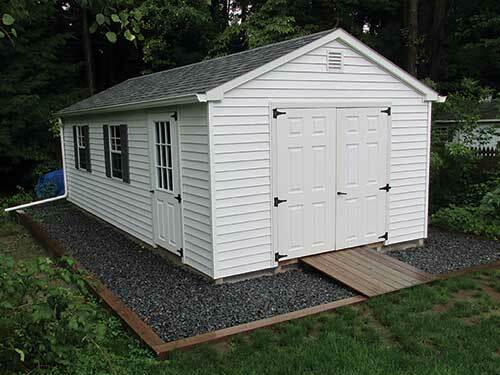 A level site is the most critical requirement for years of service and enjoyment of your shed. Attach a string to the bottom of the stake that is at the highest elevation. Attach level to string and tie string to stake at the highest elevation and make the string level. Tie to the stake at the lowest elevation. Measure the distance from the string to the ground. This will tell you how much out of level your ground is.